Punjab Home Based Worker­s Bill to be presen­ted in provin­cial assemb­ly. 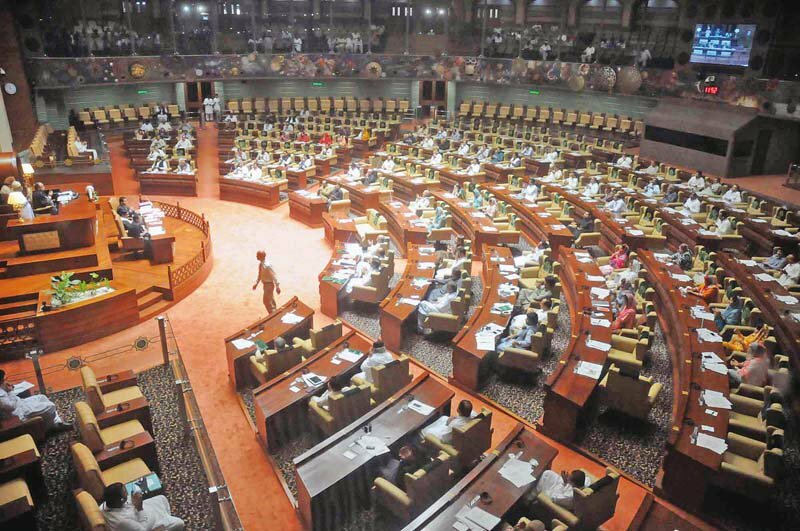 The Punjab Home Based Workers Bill will be introduced in the provincial assembly next week, Labour Department Director Syed Hasnat Javed said on Saturday. He was speaking with parliamentarians and members of district action committees at a consultation arranged by HomeNet Pakistan. Participants discussed policy recommendations vis-à-vis home-based workers. “At present, there are no laws in the country or abroad that recognise home-based workers as labour… we are burning midnight oil to ensure their rights,” he said. Javed said the Punjab Home Based Workers Bill had been drawn up based on recommendations from parliamentarians and other stakeholders. He said the Bill would present a definition of the middleman and a procedure to ascertain wages of home-based workers. “We have tried to incorporate conventions of the International Labour Organisation and several clauses of international human rights laws,” he said. 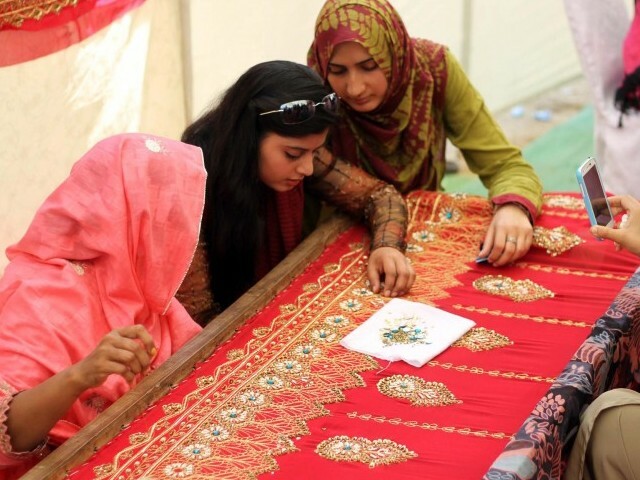 Parliamentary Commission on Status of Women chairperson Fauzia Viqar said that she had met with home-based workers, most of them women, and heard their problems. She appreciated the Labour Department’s commitment to consider the problems faced by home-based workers and taking the initiative to accord them legal recognition as workers. Viqar said the PCSW had the powers of civil courts in cases of misuse of power by state machinery against women in the Punjab. She said the workers could also enrol in trainings organised by the TEVTA. Laila said the law [which will be presented for passage in the Assembly next week] had been drafted in 2012 but the Law Department had reservations on it and it was sent to the Labour Department. “Now finally, those reservations have been addressed and the Bill is ready to be presented on the floor of the Assembly.” Once it becomes an Act, home-based workers will be recognised as labourers and will be entitled to social security and the right to association. MPA Ayesha Javed said home-based workers and DACs worked hard for a living and should be appreciated for that. “We are here to interact with you and listen and address your problems.” She asked the Labour Department to share the draft law with parliamentarians before it was introduced in the Assembly so they could debate it in a more nuanced way. MPA Saadia Sohail of Pakistan Tehreek-i-Insaf appreciated the HomeNet Pakistan’s efforts and urged the government in Khyber Pakhtunkhwa to take up the issue of home-based workers as well. She urged home-based workers to organise protests and rallies to press their rights. She said lawmakers must support the Bill when it is presented in the house next week. Rubina Sheikh, a home-based worker from Jhang, said home-based workers had learned a lot from DACs regarding their rights. These workers are relegated to fringes of economic progress, speakers at a conference say. Many workers live in areas lacking basic amenities. While reducing the extremely exploitative role of the middlemen, and extending other facilities to the home-based workers who are perhaps the most vulnerable segment of the labour force, ways should also be found to register them under the Employees Old-Age Benefits Institution to ensure that they have some pension to fall back on in their old age, when they are no longer able to work. And while on the topic, I may as well mention that there is a great need to increase the minimum EOBI pension which presently stands at Rs.3,600 per month, an amount which does not cover even the cost of medicines required in advanced age, and has remained at this paltry level for quite some time.